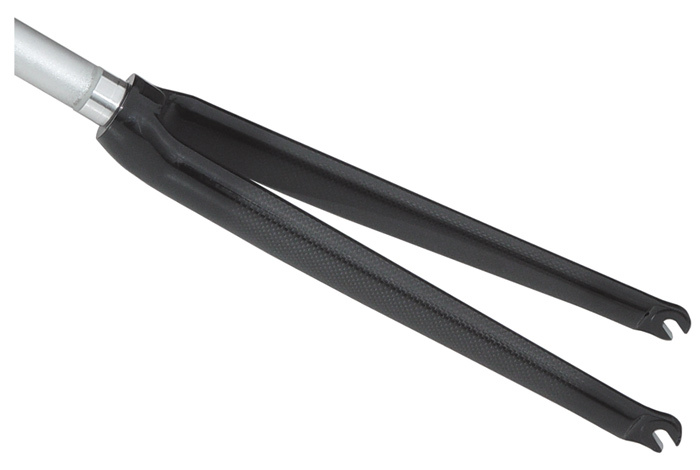 Carbon track fork with aluminium steerer 1 1/8". For integrated head set track frames. Straight blades, aluminium drop outs, no drilling for brake.